Two stories by Sam Hughes. Sam Hughes writes and blogs at qntm.org, and may be best know for Ra. Note: I AM PUBLISHED!! Asimov’s Science Fiction Magazine , Feb 2015 issue. The story is “Red Legacy” on page 48. Some notes, as well as links to different e-formats, are over at my personal blog. There have been several new voices added recently. You already heard half of them in chapters 88 and 89, but there are a few that only appear in previously published episodes, so I thought I’d list them as well. Thank you to everyone who has contributed, the full credits page is here. If you’d like to have your voice added to the podcast there are still some minor roles available, see the submissions page for more. I will be participating in a panel at FTBCon on Sunday. 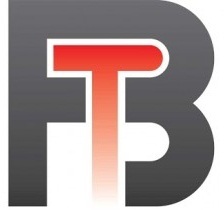 FTBCon (Free Thought Blogs) is an all-online convention, a chance for a lot of people to get together and hangout while listening to people talk about atheist and skeptic issues. I proposed a panel on whether human immortality is a good thing or a bad idea in principle when Myers first asked for submissions, and a few hours later I had managed to fall into this. :) I’ll be speaking withDavid Brin, PZ Myers, and Eliezer Yudkowsky, which is amazing as they’re all on a level significantly above mine. I guess there’s some advantages to moving quickly and organizing things. Anyone who’s seen any of these people speak before knows that this is going to be extremely cool, and very thought-provoking. The panel will taking place over Google+ on Sunday, July 21st, at 12:00noon Pacific Time (GMT -7). To watch, go to PZ’s page here, it’ll start streaming at the appointed time. You can chat with other people (and submit questions to the moderators) right here. Afterwards the recording will be put on YouTube, I’ll post a link when it becomes available. The full schedule of all FTBCon sessions is here. Wouldn’t ya know it, I’m on at the same time as the Atheists in Pop Culture panel, with Rebecca Watson. Curse the timing! This is just a reminder that the podcast now comes out every other week. The next episode – 87b – will be available 5/29/13. OK, I know this isn’t dignified, but I’m just barely suppressing a complete fan-boy moment right now. Zoe friggin Chace of NPR’s Planet Money agreed to do Penelope Clearwater for the podcast! And then recorded the lines and sent them to me! If you don’t know Planet Money, they’re an economics show on NPR with a twice-weekly podcast. Zoe Chace is a regular and she has the most amazing voice (I once geeked out and made a sample clip for people who haven’t heard her yet). The inflection and accent just pull me in, it’s a joy to listen to.